The inaugural Catalpa Festival is striving to be a pioneering New York festival, unique in its programming, atmosphere and aesthetic. With as much an emphasis on site artistry, interactive experiences and experimentation as the musical entertainment itself, Catalpa is filling what we see as a gap for an event quite beyond the ordinary in New York City. 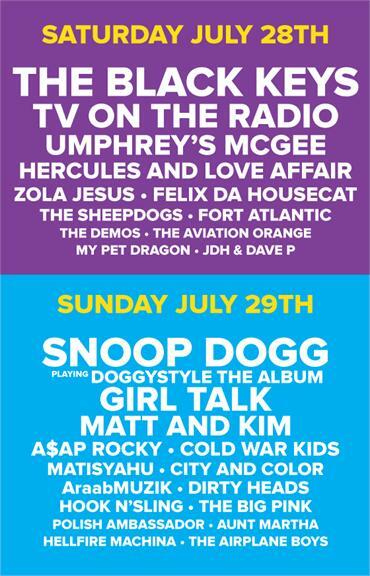 The festival will be held on Randalls Island from 1pm to 11pm over July 28th-29th weekend, 2012. A meeting point for creativity, Catalpa will feature over 40 performers from many musical genres. Art installations of all scales, bespoke event structures and enough unique elements will be present to transform people out of their ordinary setting and into an environment more fantastic.